Description: Welcome to Sonic World. This time sonic and his friends is riding bike on the way home. 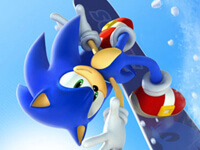 The sonic land is full of rock,hill,and crappy road, therefore, it is extreme difficult to across the land. 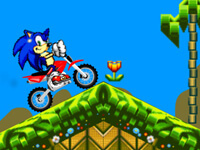 Sonic and his friends can only depend on the bike power to reach the end. Collect enough coins to reveal other characters in the game.. Sonic Xtreme Bike is a Sonic Games. Instructions: Arrow keys to play this game..